Our Team – NLR, Inc.
NLR's Longest serving Transportation Specialist, with well over 1 million miles driven safely; Dino Samson. It’s important to have a purpose. At NLR, we can’t think of a better resolve than trying to keep our environment clean for future generations. Our team is committed to that, to working hard, and doing our absolute best for each other and for our customers. We focus on continuous improvement each day, so that your experience with us is seamless and easy. You might only see our drivers, or talk to one of NLR’s knowledgeable staff, but behind them there is a much bigger team. 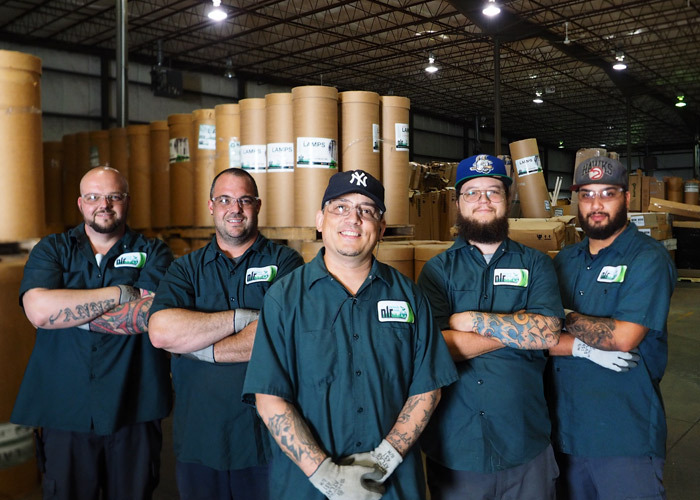 NLR’s logistics experts, sales and customer service, warehouse personnel, and team at our processing facility work together to make sure your waste is in the best hands possible. 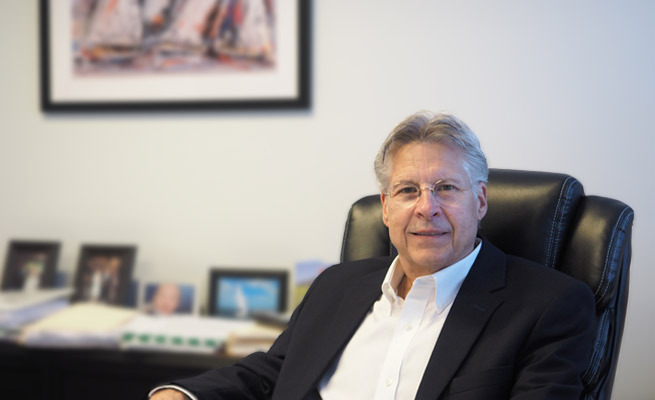 Ray Graczyk is the founder and president of NLR. In addition to his duties at NLR, Ray also serves as president for the Association of Lighting and Mercury Recyclers (ALMR). ALMR provides educational and informational resources to government agencies, municipal authorities, industries and other business entities, universal waste handlers, waste generators, environmental groups and industry trade organizations. ALMR’s mission to promote programs, policies and practices that divert mercury-bearing wastes from the solid waste stream and the environment runs parallel to NLR’s mission “green”. Over the past two decades, Ray Graczyk has been instrumental in the passage of legislation in Washington, D.C. for the Universal Waste Rule, and has also worked with Michael Bender, director of the Mercury Policy Project, for Vermont’s Mercury Labeling Law, which led to the national law for the labeling of all mercury containing lamps. Ray continues to be a staunch advocate in Washington for issues related to mercury. Robert E. Robert has been with NLR since its creation. 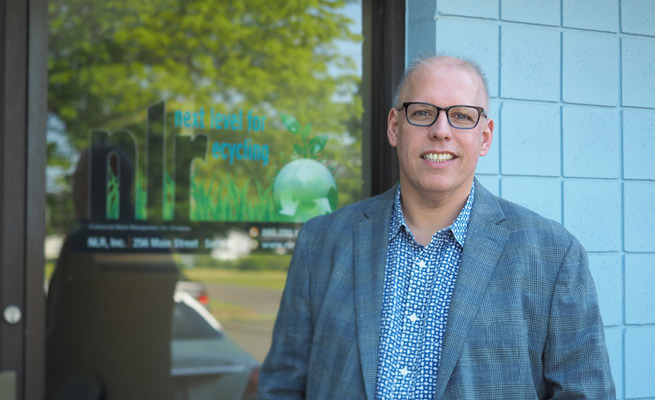 He was invited to assist Ray Graczyk launch his startup venture and develop Connecticut’s first lamp recycling facility for mercury-containing lamps and bulbs. Robert was instrumental in bringing NLR from concept and construction, to operational reality in 1996. Deeply involved in driving the organic growth of the company and its mission to keep mercury out of the environment, Robert and Ray have created one of the most respected names in universal waste recycling in the U.S. Robert has appeared on numerous television shows advocating the proper management of light bulbs, batteries and electronics. He has also been featured in The Hartford Courant Money and Business, as well as The University of Hartford’s Observer, to continue NLR’s quest to keep mercury out of the environment. Outside of NLR, Robert has been actively training in martial arts since 1984 and is currently Vice Chairman for the International Kokondo Association (IKA). Focusing on authentic, traditional Japanese karate and jujitsu for self-defense, Robert has instructed thousands of students worldwide. He owns and operates House of Jujitsu in West Hartford, Connecticut instructing classes daily. He has also co-authored, Sankosho- A Warrior’s Path to Kokondo Martial Arts and is one of Konkondo’s leading authorities on principals, tactics, and strategies for self-defense. Steve Rorick’s role with NLR is to mentor, train, and develop customer support and sales team members to work seamlessly with all NLR’s departments to achieve customer loyalty and satisfaction. Steve has a BA in Environmental Earth Science and has numerous certifications to help NLR customers including CT DEEP Hazardous Waste Management Training Certified, Hazardous Waste Generator Training, Hazardous Materials Transportation Training and Testing, and various microscopy certifications. Steve has been in business development and sales for more than 30 years. His personal interests include electron microscopy, mineralogy, fly fishing, water sports, and skiing. Sarah Moreau’s role with NLR is to coordinate pickups for customers, communicate with drivers, and generates service orders and manifests for NLR’s customers. Sarah’s a valued member of the logistics department for more than 4 years. Her interests include, musical theater, and crocheting. In her spare time, she serves as a board member the East Hartford Summer Youth Festival, a youth community musical theater program. Lauren Graczyk’s role with NLR includes billing and processing credit card payments for NLR customers. She has been with NLR for 4 years in accounts receivable and is intrumental in assisting customers with their payments and requests. She has a BFA from Boston University. Her personal interests include reiki, acting in local theaters whenever possible, and she’s excited that she’s soon be Lauren Sheldon. Sherri Sandiford’s role with NLR is to be the gatekeeper for the corporate office and the first voice on the telephone. She’s pivotal in processing paperwork, certificates of recycling, paperwork for drivers, data entry, BakPak orders and many other facets of the NLR business. She has a background in business and accounting from Saint Joseph College and has been with NLR for 3 years. Her personal interests include reading science fiction novels, and crocheting. Jim Tucker’s role with NLR is to oversee operations at both the UWH warehouse and lamp processing facility. Jim is involved in end-to-end processing, OSHA requirements, and DEEP/EPA compliance and safety in NLR facilities. Jim has a MBA in management, BS in communications, and before joining NLR, spent 25 years in plant operations in the communications industry. He has multiple certifications to make sure NLR’s facilities are safely operated including CT DEEP Hazardous Waste Management Certification, CT DEEP Hazardous Waste Operator Certification, and OSHA certifications. His personal interests include sports, coaching, and being a dad to two girls. Sean Unger’s role with NLR is overseeing operation and managing production levels for all shifts in the lamp processing facility and the UWH warehouse. Sean has spent 8 years at NLR beginning as a technician and working his way to night shift supervisor, to supervisor of the lamp processing facility. He has a background in business and receiving professional training from OSHA, as well as DEEP/EPA certifications to help maintain the health and safety of NLR’s employees. His personal interests include reading, mixed martial arts, and he loves his two dogs and helping to raise two step children. Chris Rorick’s role with NLR is to provide the highest level of customer service possible to our customers. Chris helps support their universal waste recycling programs to keep them in compliance with state and federal regulations. He is certified by the CT DEEP Hazardous Waste Management Training, and has been in customer service for 7 years. His personal interests include cars, hiking, surfing, and snowboarding. Ethan Sheiber’s role with NLR’s is providing customer service support. He enjoys working with customers and servicing their needs. Ethan has been in the customer service industry for several years and has an Associate’s in Business and Marketing. His personal interests include music, summer concerts, movies, and cars. In his spare time he enjoys detailing cars. Will Dickinson’s role with NLR is to redesign NLR’s web presence and digital marketing campaigns. Will is responsible for graphics, marketing campaigns, and generating brand awareness. He’s new to NLR, but has been in the marketing and design space for almost a decade. He has a MFA in digital media and design. Will’s personal interests include photography, all things outdoors, and is a movie aficionado. Our UWH facility team is the frontline for receiving and sorting our clients’ universal wastes. 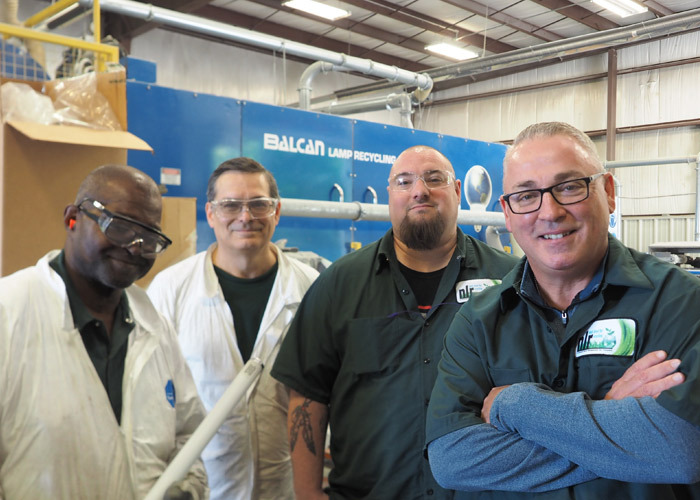 They assure the highest safety measures are followed and work to make sure your waste is quickly categorized and safely moved to our processing facility or a certified downstream vendor. Our team at the lamp processing facility work quickly to sort and recycle lamps and lighting wastes. They also prepare, ship, and receive the majority of our national mailback program, BakPak. Using state-of-the-art machinery the processing team recycle mercury containing lamps and bulbs back down to metal caps, glass cullet, and phosphor powder that can be reused and retorted in other processes. This team also cleans and prepares received ballast for recycling. 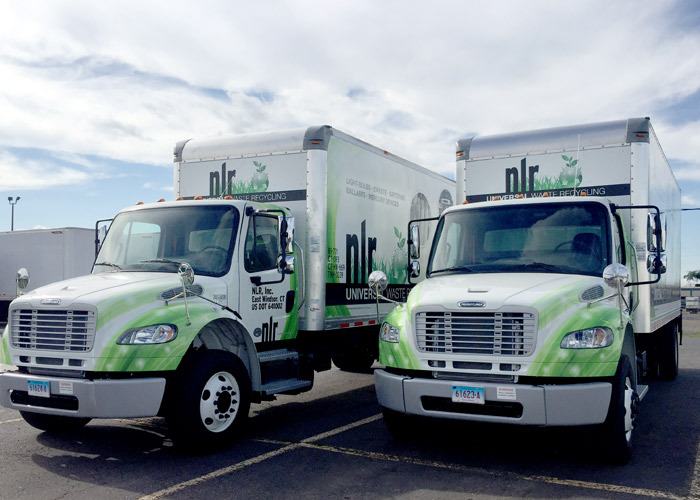 NLR’s drivers are professionally trained and certified waste transporters. They’re committed to superior service and assist our clients with their waste when on site. They don’t only drive, they load, unload, and assist whenever possible. Our drivers are used to navigating the complex maze of the inner city and are backed by our logistics experts to make sure they arrive where they’re supposed to and when they’re supposed to. Most importantly they comply with the DOT’s rules and regulations, so you can rest assured that your waste will be transported safely from your facilities to ours.